The Miami-based cruise operator announced its new beverages policy in a statement earlier this week. Passengers and travel agents are being sent a letter explaining the new rules. The company says the ban will begin July 9. 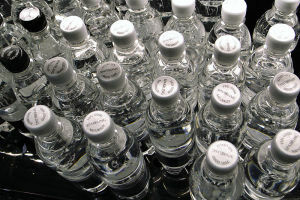 By doing this, the company is trying to put a stop to alcohol being smuggled onboard disguised as bottled water. According to the new rule, the cruisers will no longer be permitted to bring bottled beverages onto Carnival fun ships at embarkation. Travelers can only bring up to 12 unopened cans and cartons of water, soda and nonalcoholic beverages as carry-on luggage. In addition, the cruise operator allows a single bottle of fine wine or champagne per adult 21 or over to be brought aboard. Also, the company will restrict the size of coolers that can be brought aboard. Only small personal-sized cooler, up to 7.5 gallons in volume, for carrying nonalcoholic beverages or medications will be allowed aboard. A $4.99 12-pack of bottled water will cost only $2.99 if purchased before boarding. The cruise operator said the new policy is not intended to raise beverage revenues. The company explained it is only trying to stop alcohol smuggled aboard as the bottles are currently individually examined by security personnel and it is significantly slowing the boarding process. According to Stewart Chiron, president and CEO of Miami-based industry website CruiseGuy.com, the move will improve the boarding process by 10 minutes a passenger. This entry was posted in Carnival, Port Canaveral, Travel, Uncategorized and tagged Carnival, cruise ship, cruise travel, vacation by writer. Bookmark the permalink.